John is Co-CEO and Co-founder at Nexus. John has been involved in technology staffing and professional services since 1996. John is responsible for executing the strategic growth plans at Nexus primarily focussing on the client relationship and marketing efforts at Nexus. Prior to Nexus, John played an essential role as Co-founder with Genex Systems Group which was one of the leading Technology Staffing firms in the Greater Toronto Area. In 2006 Genex was acquired by a National Staffing Firm. John also sits on the board of directors for the National Association of Computer Consulting Businesses (NACCB) in Canada and is an active member of the technology and business staffing industry in Canada. 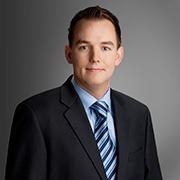 John holds an Honours Bachelor of Commerce from McMaster University as well as an MBA from the University of Western Ontario. Marko Radosevic is Co-CEO and Co-founder at Nexus. Marko has been involved in the Technology Staffing space for over 20 years. He has been managing key client relationships as well as guiding the operations component at Nexus. Prior to Nexus, Marko played an essential role as co-founder with Genex Systems Group. Genex was one of the top Staffing providers in the GTA. In 2006 Genex was acquired by a National Staffing Firm. Marko holds a Bachelor of Political Science with a minor in Environmental Science from the University of Toronto. Jeremy Mason, Managing Director at Nexus, is responsible for the performance and growth of the Sales Teams & Branches across Canada. 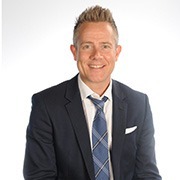 With over 20 years of IT Staffing Industry experience, Jeremy is responsible for managing and developing the executive relationships with some of our key Clients, as well as guiding strategic sales with his Teams across our Clients. 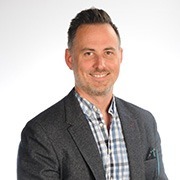 Prior to Nexus, Jeremy spent over 8 years with Eagle Professional Resources as the GM-VP for Central Canada and came up through the ranks spending over 10 years at Ajilon Consulting as a Senior Recruiter and National Sales Account Manager. 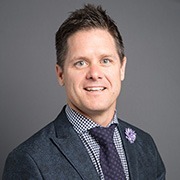 Jeremy holds a Bachelor of Social Science from McMaster University, as well as a Marketing Management Post Graduate Degree from Humber College. Bruce is the Branch Manager for Western Canada. Bruce is responsible for the performance and growth of the sales and recruiting teams for Western Canada. With over 15 years of IT Staffing Industry experience, Bruce is responsible for managing and developing the executive relationships with some of our key clients, as well as managing the sales and recruiting teams for our Western Canadian business. Prior to Nexus, Bruce spent over 13years with Eagle Professional Resources as a Senior Account Executive/Team Lead and built his career in the industry from an entry level role to top performing account executive for 11 consecutive years. Bruce holds a Bachelor of Social Science from the University of Ottawa.